The accuracy and effectiveness of platelet-rich plasma (PRP) and stem cell injections depends on the skill of the physician. Stuart A. Kauffman, DO, at PRP in Philadelphia uses imaging technology, including ultrasound guidance, when injecting PRP and stem cells to ensure you get the most successful treatment possible. For natural healing and pain management with care and precision, call the office in Huntingdon, Pennsylvania, or schedule an appointment online today. Dr. Kauffman uses platelet-rich plasma and stem cell injections to enhance your body’s natural healing. PRP is a blood product Dr. Kauffman creates from your own blood that’s rich in the platelets and growth factors your body uses to heal wounds and generate tissue. Stem cells are blank cells that have the ability to transform into the type of cell your body needs. At PRP in Philadelphia, Dr. Kauffman can use PRP injection alone or combine PRP with stem cells for advanced healing of injuries. Ultrasound is an advanced imaging tool that uses sound-wave technology to generate images of the inside of your body. Dr. Kauffman uses this advanced technology for greater accuracy when performing orthopedic PRP and stem cell injections. This ensures the precision of his injections for more successful treatment and less discomfort. Who benefits from ultrasound guidance? To get the most effective results from your PRP and stem cell injections, Dr. Kauffman may recommend more than one injection set over a specified period of time. He develops your personalized treatment plan before you get started so you know what to expect. What can I expect during injections using ultrasound guidance? Ultrasound guidance itself is a painless procedure, but you may feel some discomfort when Dr. Kauffman makes his injections. During your ultrasound guidance injections, Dr. Kauffman has you sit in a position that gives him the best access to your treatment area. Then, the ultrasound technician places the sound-wave wand over the treatment area. The sound waves from the wand generate an image that Dr. Kauffman views on a computer screen, which he uses as a guide for placement of your injections. Dr. Kauffman is an expert in PRP and stem cells injection and aims to be as precise as humanly possible when providing treatment, which is why he uses advanced imaging technology to perform his injections.  For expert care and natural healing and pain relief using PRP and stem cell injection therapies, call PRP in Philadelphia or schedule an appointment online today.